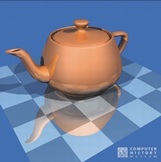 The computer graphics group at University of Bremen carries out fundamental and applied research in visual computing, which comprises computer graphics (i.e., image generation, modeling, simulation, animation, etc.) as well as computer vision (i.e., extracting information out of images, which can be RGB, or depth images, or even other modalities). 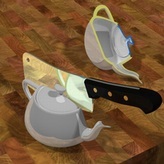 In addition, we have a long history in research in virtual reality, which draws on methods from computer graphics, HCI, and computer vision. All of the above mentioned fields are based, of course, on diverse other disciplines such as computer science, mathematics, and others. Here is a one-page poster showing some of our research areas. 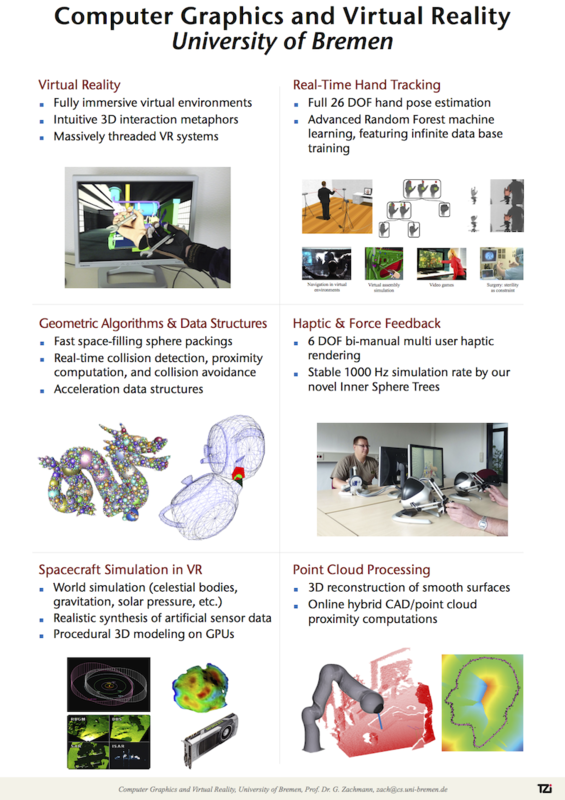 Our areas of expertise are in diverse areas of visual computing such as geometric algorithms, acceleration data structures for geometric queries (e.g., proximity and ray queries), collision detection and handling, point clouds, interaction in virtual environments, and marker-less articulated object tracking (in particular, hand pose detection). We put particular emphasis on comprehensive analysis, task-specific mathematical modeling, design of very efficient algorithms, robust and high-speed implementations, and thorough evaluation of our solutions. 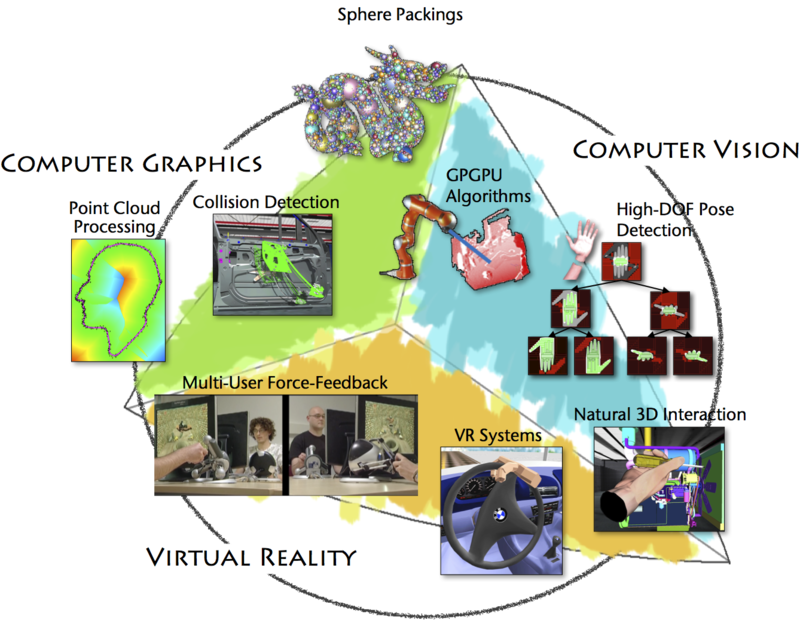 Application areas we are interested in are virtual prototyping, computational medicine, robotics, entertainment, manufacturing industries, and others. In addition to our research efforts, we aspire to prepare students on both the undergradate and the graduate levels to be among the best practitioners, managers, and leaders of applied visual computing. Students can work in our labs or research projects developing their graphics skills, techniques, concepts, and management ability through individual and team-based projects.